Coconut oil is one of the most popular oils for hair along with olive oil. Coconut oil has many benefits for hair and can help hair recover from various issues in the long-term. There are miles of studies on the benefits of coconut oil. If you have ever been to the coastal parts of India, you would have noticed a lot of the men and women have thick jet black hair even those in their 70s. This is due mostly to the pure coconut oil they use on their hair. 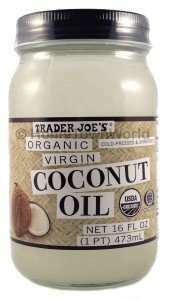 Thick and luscious hair with coconut oil? Sounds good to me. Coconut oil is extracted from the kernel of matured coconuts, which are harvested from the coconut palm aka Cocos nucifera. Virgin coconut oil has a delightful and tropical smell while refined coconut oil has no coconut taste or smell. 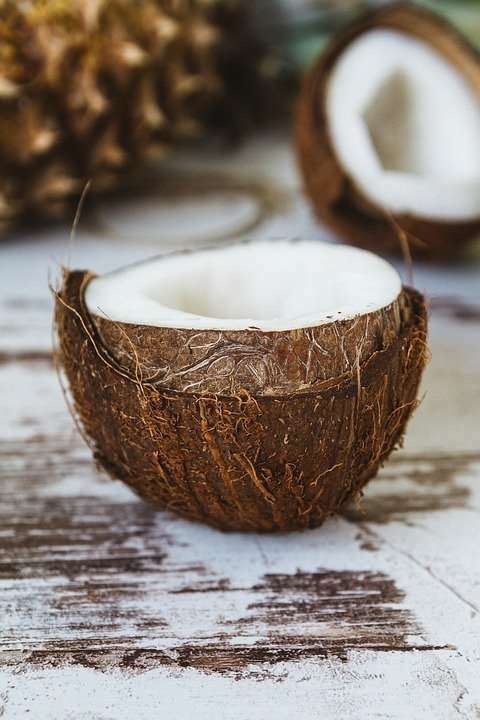 Coconut oil has over ninety percent saturated fat content, which makes it sound unhealthy, but in reality, the fat in coconut oil possesses many wonderful properties. Coconut oil contains abundant amounts of Medium Chain Triglycerides (MCT) or Medium Chain Fatty Acids (MCFA) – lauric acid, capric acid, and caprylic acid. Though over 90% of coconut oil is saturated fat, it can help lower bad cholesterol level in the body. The trick here is consuming it in limited amounts. Additionally, the MCTs found in coconut oil can be converted into an energy source quickly going through fewer processes in the body than other fats. That’s one of the reasons I use it in my after workout smoothies. Is consuming coconut oil good for you? Absolutely. It’s one of the cooking oils recommended for the keto diet. Read Guide to the 10 Best Cooking Oils for the Ketogenic Diet. Coconut oil can also be used as a substitute for butter in baking and as one of the oils in the oil pulling method. Dr. Oz shares even more of the incredible benefits of coconut oil for health in this two-part video series. Benefits of coconut oil when it comes to skin care has been covered in several articles on the website. Read Are Coconut Oil Capsules Good For You? and Can You Use Coconut Oil for Acne? I love, love, love coconut oil for my hair and skin. It was one of the first oils I used on my hair back in the day. The smell makes me happy and lifts my spirits in addition to the awesome things it does to my hair! It’s fatty acids content and penetration abilities help prevent the loss of protein from hair. If you have high porosity hair, coconut oil should be included in your regimen and can help immensely as a pre-poo (recipe below). If you have normal porosity hair, regular use of protein will reduce the frequency of high-grade protein treatments. Coconut oil contains a lot of vitamin E. Regular use makes hair soft and easy to manage and helps seal in moisture effectively keeping strands moisturized for longer. Coconut oil is one of the 3 oils that have been proven to penetrate the hair shaft and fortify the hair strands. By fortifying the hair strands, hair breakage is eliminated and further breakage prevented. The other two oils with this benefit are olive oil and sweet almond oil. The lauric acid contained in coconut oil is similar to a property found in human breast milk. Breastfeeding builds babies immune systems and protects them from infections. On the scalp, coconut oil can help treat dandruff, itchiness, and flakiness. Coconut oil has a long shelf life due to the high antioxidant content. It lasts for over 2 years in some cases. You can use it as stabilizing oil in your DIY recipes. You can also safely bar several jars while on sale without fear that it will go rancid quickly. Ready to treat yourself to the wonderful goodness of coconut oil? Then try one, two or all of the recipes below. Mix 1 cup of aloe vera juice with 3 tablespoons of coconut oil in a spray bottle. Shake and place the spray bottle in hot water. Heat up the mixture and shake again. Section your hair and spray the mix in generously. Work the mix through your hair, removing any tangled hair. Twist up each section as you finish up. Cover your head with a disposable cap or cling film and leave on for an hour. Say hello to soft and easy to detangle hair. Shampoo and deep condition as usual. For a deep conditioning treatment, mix a few tablespoons of coconut oil with your favorite deep conditioner. Apply to hair after shampooing, then sit under a hair steamer for 30 – 45 minutes. You can also leave in overnight if you desire but this might make your scalp itchy. Rinse out and style your hair. Additional natural oils you can mix into this recipe include castor oil, calendula oil, and cranberry seed oil. The oils should complement the deep conditioner and shouldn’t be more than the deep conditioner. As a daily moisturizer, apply a few drops of coconut oil to damp hair before styling. Use just enough for the oil to do its job without leaving an oily residue behind. Focus on the ends of your hair. As a dandruff treatment, mix coconut oil with 10 drops of peppermint essential oil, tea tree essential oil, rosemary essential oil or eucalyptus essential oil. Apply to scalp and massage in thoroughly until absorbed. Leave in overnight. Shampoo and deep condition the next morning. Some people find that coconut oil clogs their pores or just doesn’t agree with their scalps. In this case, have a look at the natural oils for scalp issues archives to choose a suitable replacement. Note: Coconut oil solidifies at room temperature. However, this doesn’t mean it’s no longer effective. Just warm up between the palms of your hands and it’ll melt. 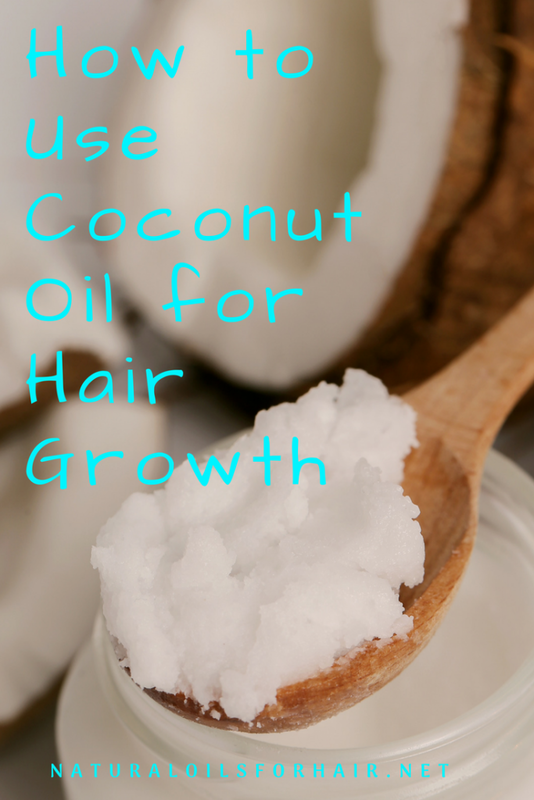 Can Coconut Oil Stimulate Hair Growth? Coconut oil cannot on its own stimulate hair growth without the assistance of other oils like castor oil, burdock root oil, pumpkin seed oil, etc. It can, however, make your hair much stronger thus eliminating dry hair and hair breakage. If you use ayurvedic herbs on your hair as well, combining with coconut oil is a good hair. You can have a look at the hair loss archives for more inspiration. Can You Keep Coconut Oil in Your Hair Overnight? Yes, you can. However, you will likely wake up with oily residue all over your pillow so apply in moderation and wrap up with a disposable cap or cling film and a scarf before going to bed. There are no side effects to leaving coconut oil in your hair overnight and your hair will thank you for it in the long run. 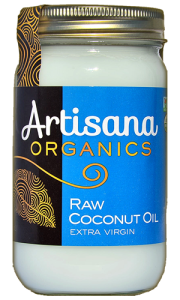 The best coconut oil is pure coconut oil which hasn’t undergone any chemical process. The coconut oil displayed in the hair section in some supermarkets usually has cheap fillers. The cheap fillers include mineral oil and liquid paraffin. Check the food grade oils section instead for pure coconut oil. For more extra virgin coconut oil recommendations, read 7 Best Organic Coconut Oils for Healthy Hair. An upcoming article will share up to 50 coconut oil shampoos, conditioners, deep conditioners, leave in conditioners, serums and more you can use in your hair care regimen. If you’re interested in learning more about natural oils and how to use them for specific purposes to achieve optimal length and health, have a look at How to Grow Your Hair Healthy & Long with Natural Oils, a comprehensive guide about natural oils.